I am always enchanted by little Christmas cards. Most of these are about 4" x 2.5". 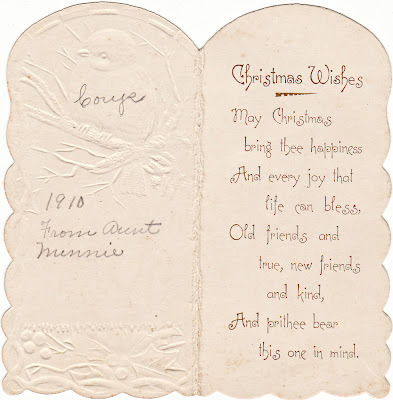 Below is a very sweet small card from 1910. This is for sale in my Etsy shop. Just listed. This is an actual Real Photo Postcard. 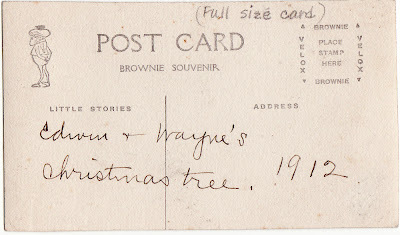 It was done on a Brownie and is called a Brownie Souvenir. 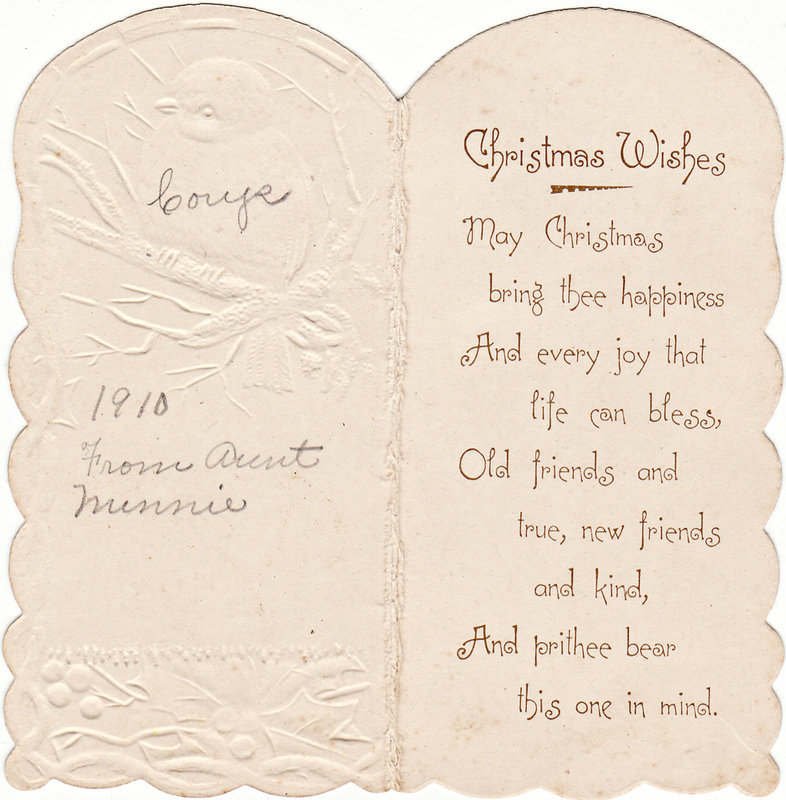 It's hard to tell here, but it is a little card. 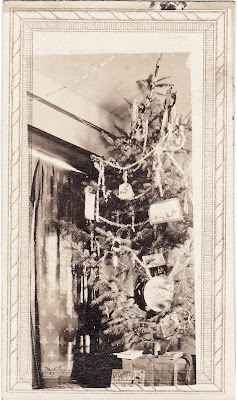 I love seeing the old Christmas trees. 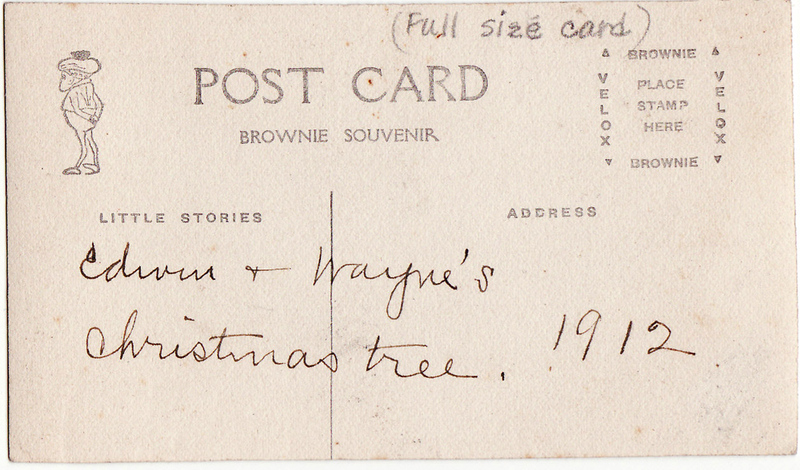 This is Edwin and Wayne's Christmas Tree from 1912. 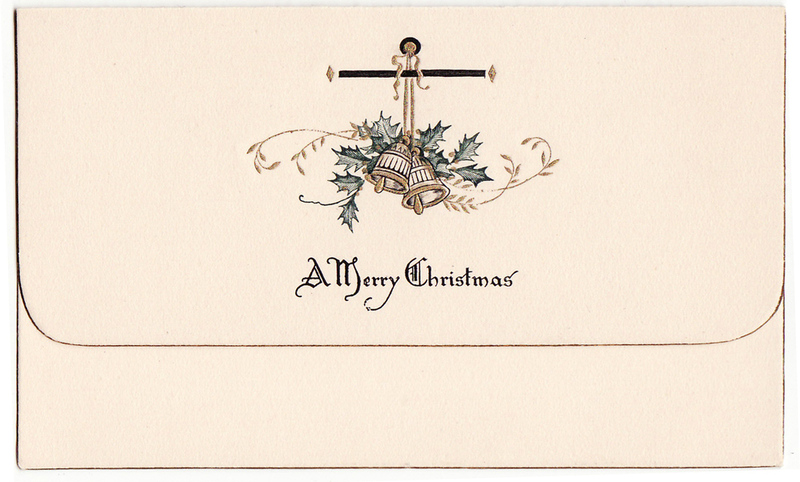 Below are two more pretty small Christmas cards. 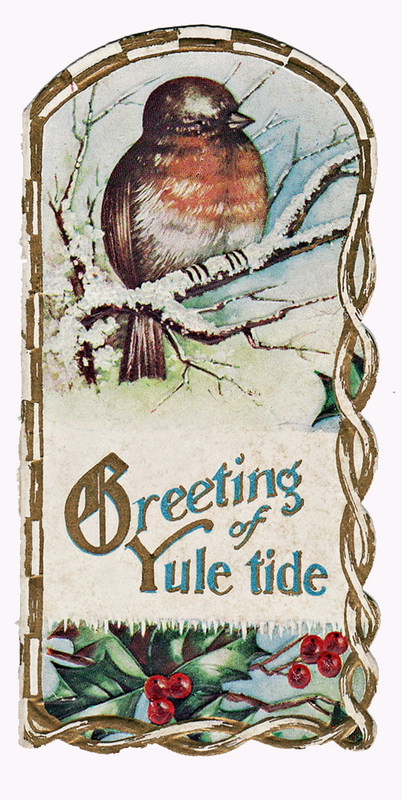 Lots of Christmas cards added to the shop recently. New Years cards will be coming soon. 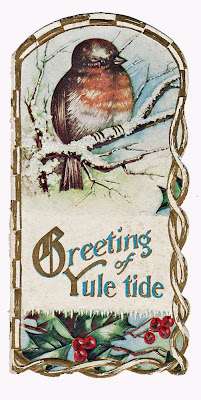 Please like us on facebook to see all the new listings. I love Edwin and Wayne's tree! Those little envelopes are so cunning!